NEW DELHI: Lenovo-owned Motorolalaunched its first modular smartphone last year. Along with the modular smartphone the company also introduced Moto Mods, which add extra feature to the smartphones and also help in enhancing user experience. The company is now all set to expand its Moto Mod portfolio with the launch of new mods. 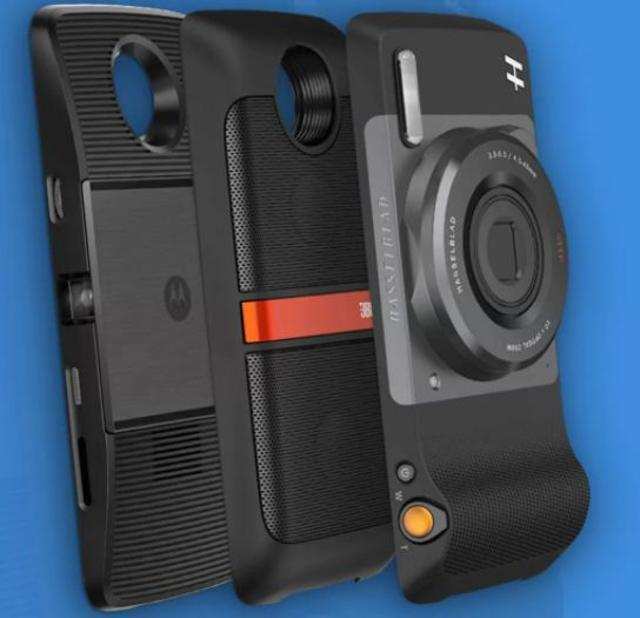 Last month, Motorola launched a new printer mod for its Moto Z series of smartphones. The company entered into partnership with Polaroid, and launched the Polaroid Insta-Share Printer Moto Mod. The mod is designed to allow the users to print the pictures they captured using their Motorola smartphones. Not only that, users can also print pictures from Facebook, Instagram, and Google Photos. The new Moto Mod makes use of Polaroid Premium ZINK Zero-Ink Paper of dimensions 2×3-inch with peel-off, adhesive backs. This allows the users to stick their pictures anywhere they want. The Moto Mod is backed by a 500mAh battery and weighs 188 grams. The company claims that the mod can 20 prints per charge and can hold up to 10 sheets of paper at a time. The mod was launched in US and is yet to make way to India. So, we can expect that the company might launch this printer mod today.